If you require a Jet Washing service, then look no further as we can guarantee an inspiring improvement. We can clean any surface ranging from your residential properties driveway to the commercial cleaning of your large building or car park. We can offer a vast range of professional jet washing services, as well as low-pressure steam cleaning for the more delicate listed buildings. 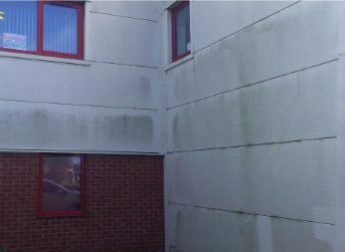 We have seen major damage from inexperienced companies that have used high-pressure washing on the incorrect surfaces. All of our staff have undergone intensive training that has taught them about the various types of surfaces that they will encounter. They can also identify the different types of “dirt” that may need to be removed and the best approach to take. Our machines can range from low pressure to high pressure and coupled with these machines, we use a range of eco-friendly biodegradable chemicals that assist gently, but efficiently, in each cleaning process. Our jet washing services are available to both domestic and commercial customers and we are competent to handle both the largest of commercial jobs to the smallest of domestic. We have in fact gained several commercial clients over the years from jobs that were initially domestic at their homes. If you have recently moved into a new property, are selling your property or have moved into your new business premises and need to create a good impression, we know that we can make that difference for you. Not only does it show your customers or visitors that you have taken the time to improve the look of your property, but it also exhibits you as a professional business, which will reflect on the type of service they will receive or as an individual, showing you take pride in your home. Our jet washing service also includes a wide range of industrial applications, including the service of tanks and receptacles. We also use all types of specialist equipment to undertake paint stripping, degreasing and removal of oil/diesel stains. We do not just deal with dirt or grime. If you are unfortunate enough to suffer a fire or flood, we can provide a cost-effective service to ensure your property is restored to its usual state in the shortest time possible. Our services are not limited to 9-5 hours, so we can carry out our work with minimal disruption to your clients, visitors or family. To find out how our services could benefit your business, property or home get in touch with us. A member of the team will be happy to answer any questions or queries.